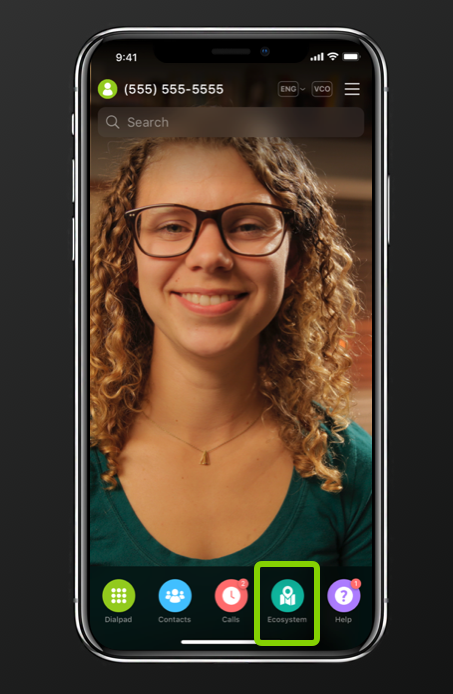 The Deaf Ecosystem Directory in our Convo app was designed for YOU as a way to find resources within our deaf community. It is made easy to support deaf-owned businesses, professionals, organizations, schools for the deaf, and more. Learn more about what a Deaf Ecosystem is here. Life has been made easy and simple for you to search and support your local deaf ecosystem. 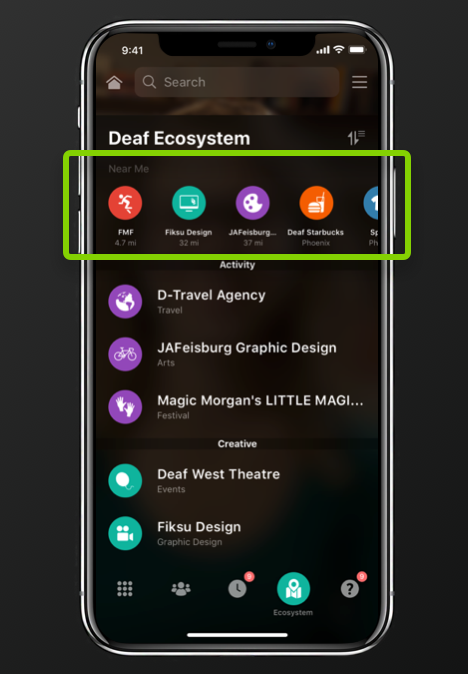 To view the Deaf Ecosystem Directory, press the map icon, the fourth icon from the L at the bottom screen of the Convo for iOS app. See below image. Using your location, this section allows you to easily see the 15 nearest deaf businesses around you. How convenient it is to support your local businesses on the go! The Deaf Ecosystem Directory has 8 categories including: Activity, Creative, Education, Food, Health, Professionals, Services, and Shop. 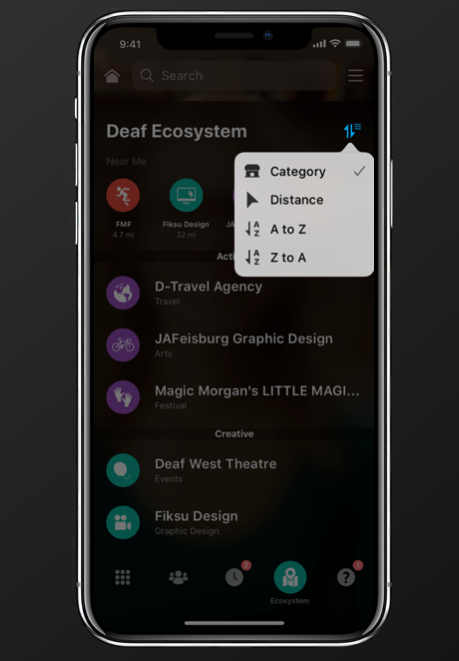 At the upper right corner of the Deaf Ecosystem Directory, the arrows pointing up and down will allow you to sort the list by Category, Distance, or Alphabetic.